PWRDF is part of the ACT Alliance relief efforts in the Philippines in the wake of Typhoon Haiyan. 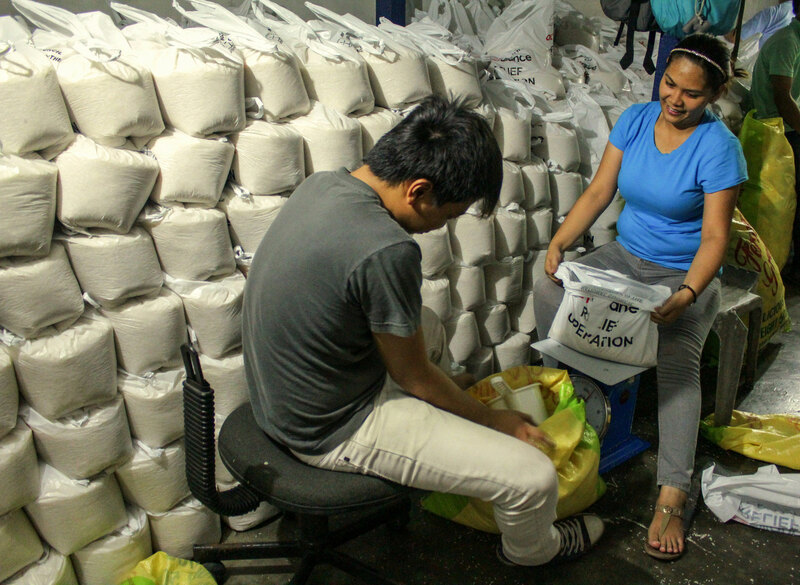 Last week, the National Council of Churches of the Philippines (NCCP)””a PWRDF partner and fellow ACT member””began distributing food to families affected by the storm. It took three truckloads to transport these packages, which were taken by road and ferry to Samar province, to the area hit by the full fury of the storm when it made landfall. They are going to families that NCCP members have determined are in greatest need. Hundreds of volunteers worked until 2am preparing the packages for distribution. Once the final truck had departed, the volunteers started the process all over again. Each package costs $24 and can feed a family of seven for a week. All donations received from individual Canadian donors between Nov 9 and Dec 9, 2013 will be matched dollar for dollar by the Canadian government into the Typhoon Haiyan Relief Fund, which will be used by the government to partner with NGOs and international agencies to further relief efforts after the storm. You can designate your online donation for “Typhoon Haiyan”.